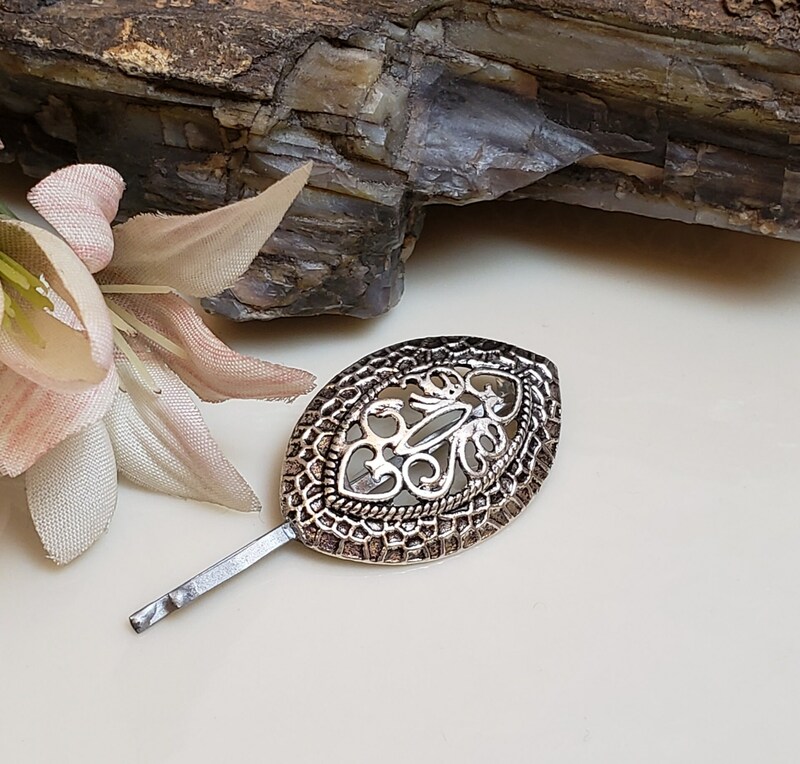 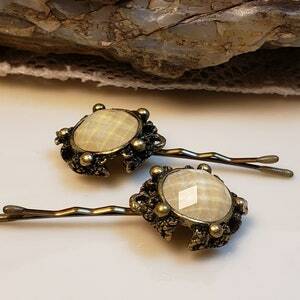 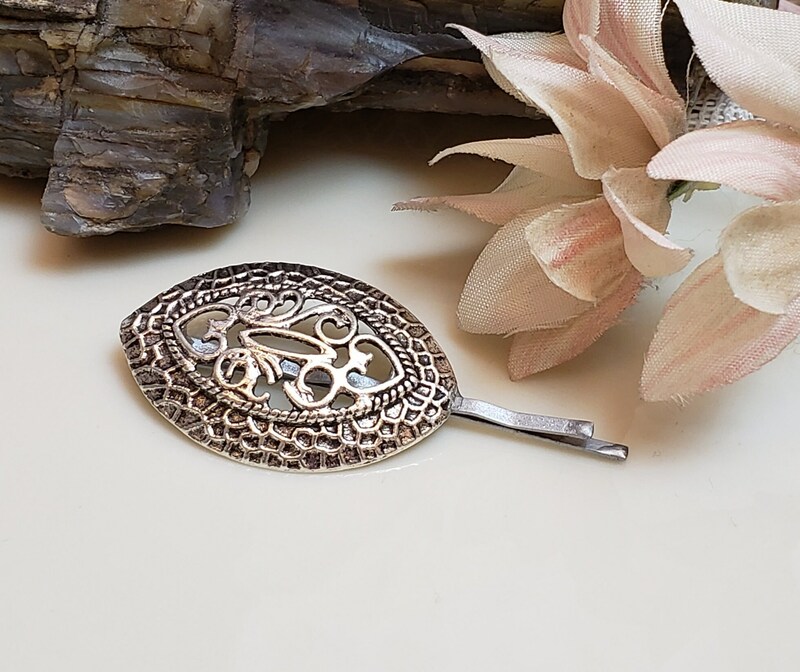 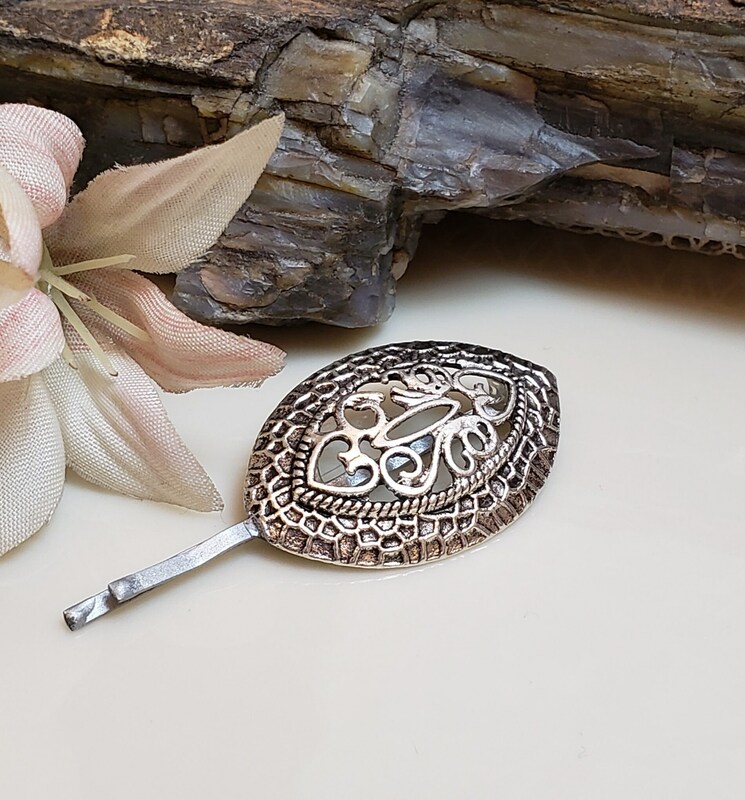 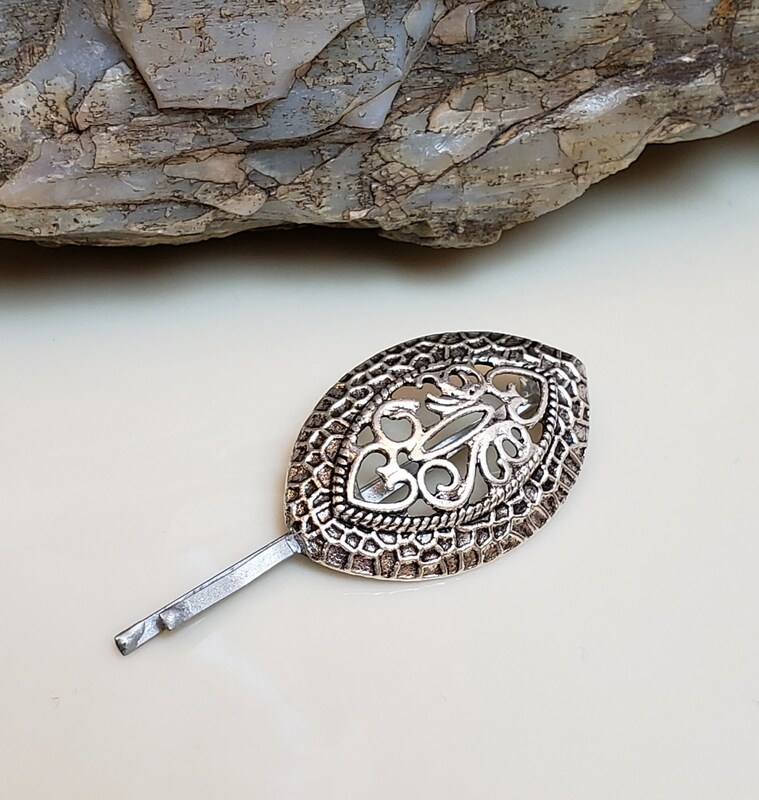 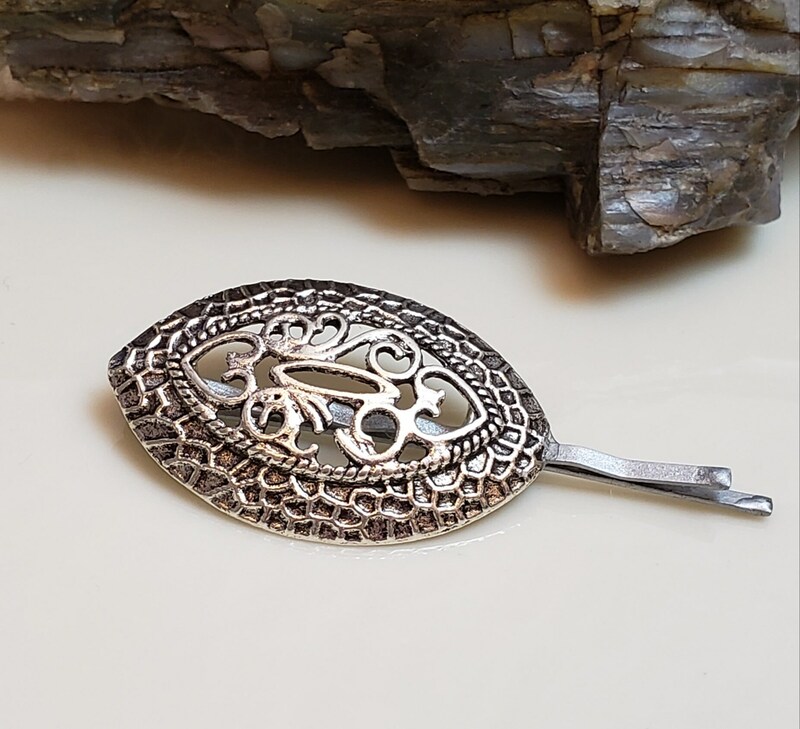 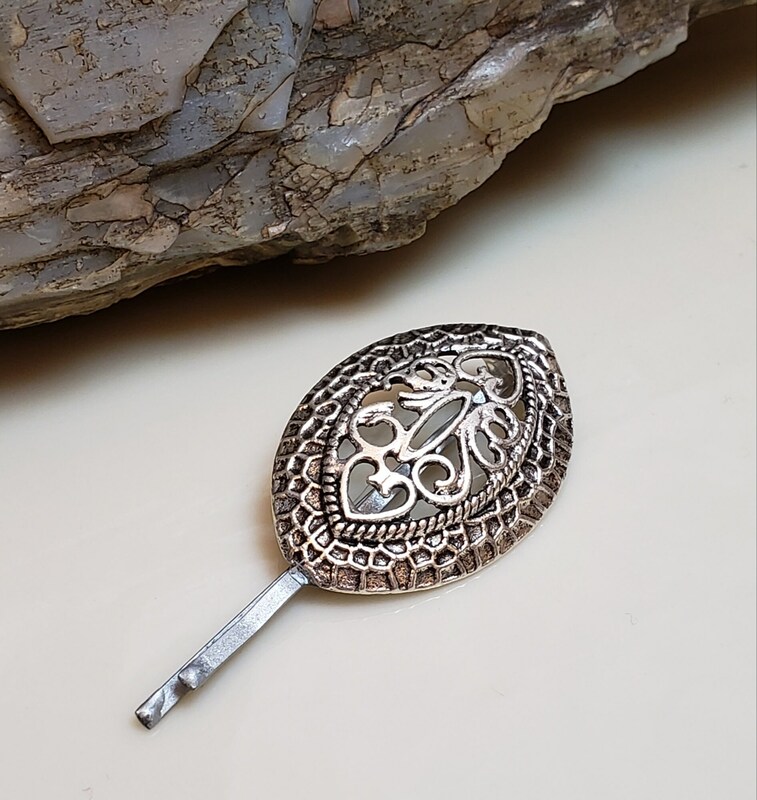 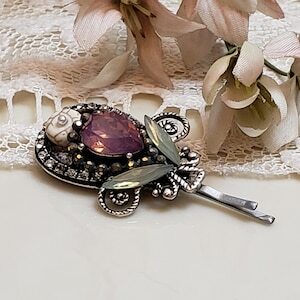 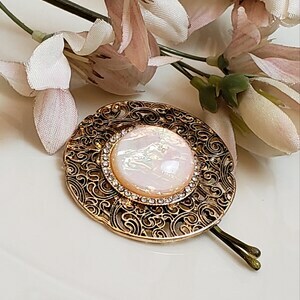 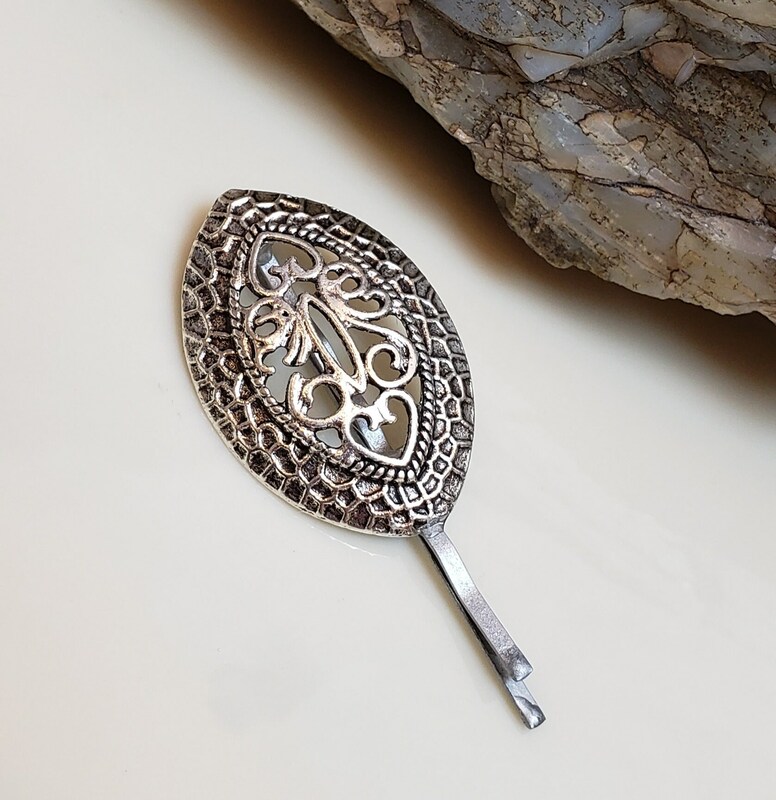 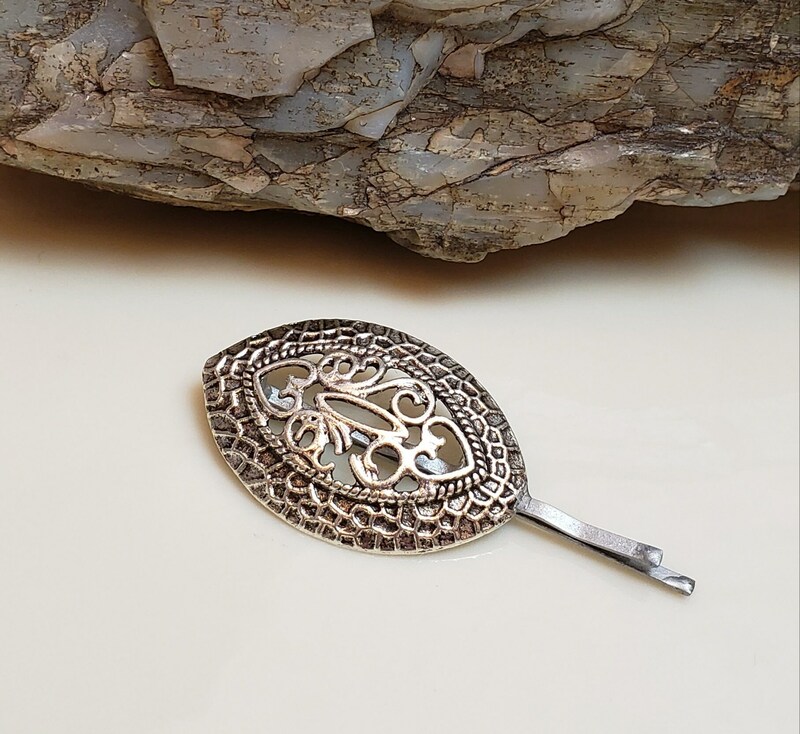 Stylish silver tichel pin in a beautiful boho style! 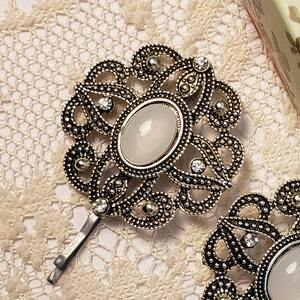 Upgrades your outfit and head covering in seconds and accentuates the eyes. 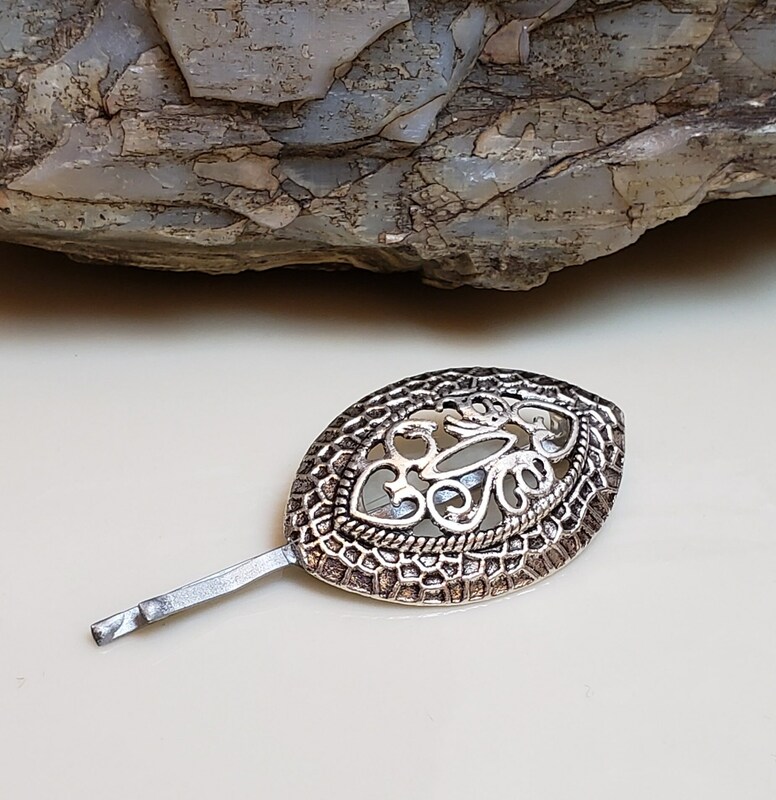 Decoration measurements: 1-3/8" x 1"